← My new favorite website: The Cereal Project! 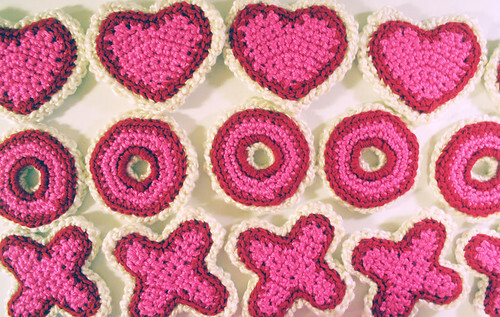 Still gearin’ up for a Valentine’s Day store update! 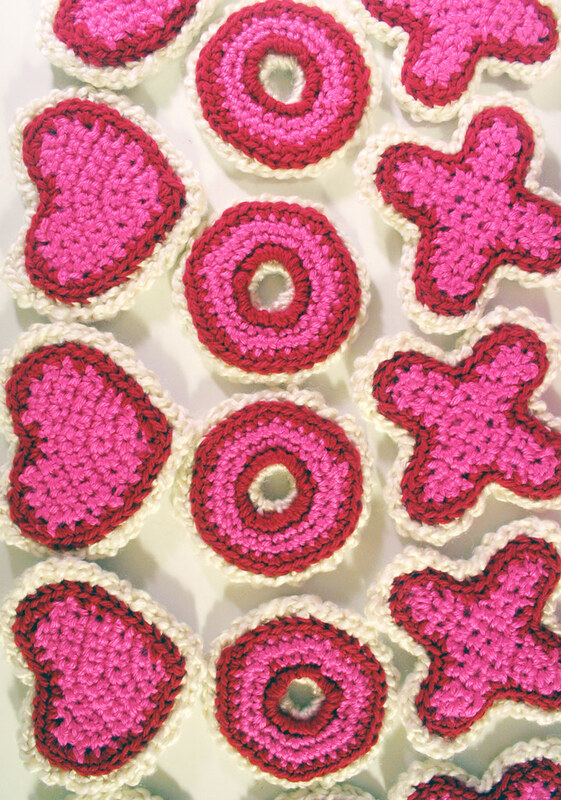 This year we’re not only make heart-shaped cookies, but also sets of x’s and o’s! At first I was going to sprinkle on pink, white, and red mini pom poms on everything, but then I wondered if I preferred the usual rainbow, and then I wondered if I preferred sugary bugle bead sprinkles! 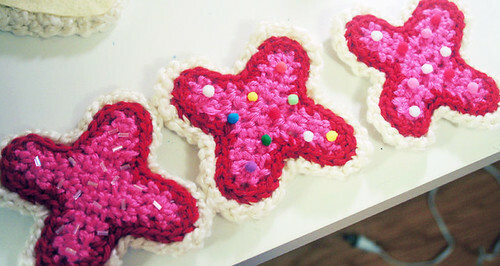 19 Responses to Crochet-baking Cookies! those are awesome! you have the coolest ideas! Cuteness. In ranking, I prefer: pink/red/white poms…then bugle beads…then rainbow poms. They are all adorable. I want a sugar cookie in the worst way now from looking at those. Perhaps a trip to the bakery is on today’s list of things to do. I love those sooooo much! Oh my gosh! Your hand must be hurting from all that crocheting! Although, they do look amazing! I really like the pompoms, both colours. These are the cutest! I like the little beads! WAO this are super Cute!!!! They all look adorable!!! Good work, I like the red and white the best!!! Everytime I see your creations I’m amazed. super adorable to the max! I can’t wait till your v-day stuff comes out!! LOVE LOVE LOVING the sugar sprinkles!